So, I have a thing for individually-made anything. Also, I really couldn’t think of one main dish that we always have for Christmas. Turkey? Ham? 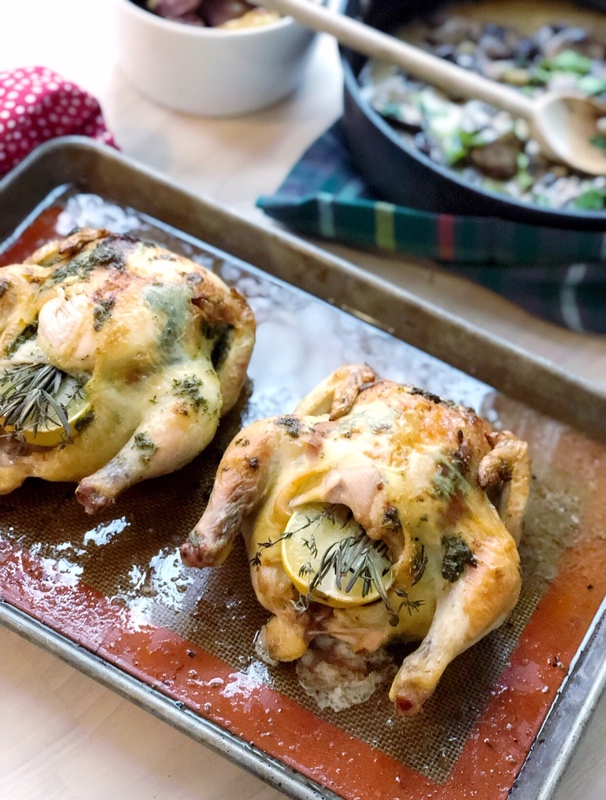 As I’m over here still trying to think about what the heck our Christmas dinner traditions were growing up, I’m going to tell you all about these butter herb roasted individual hens! 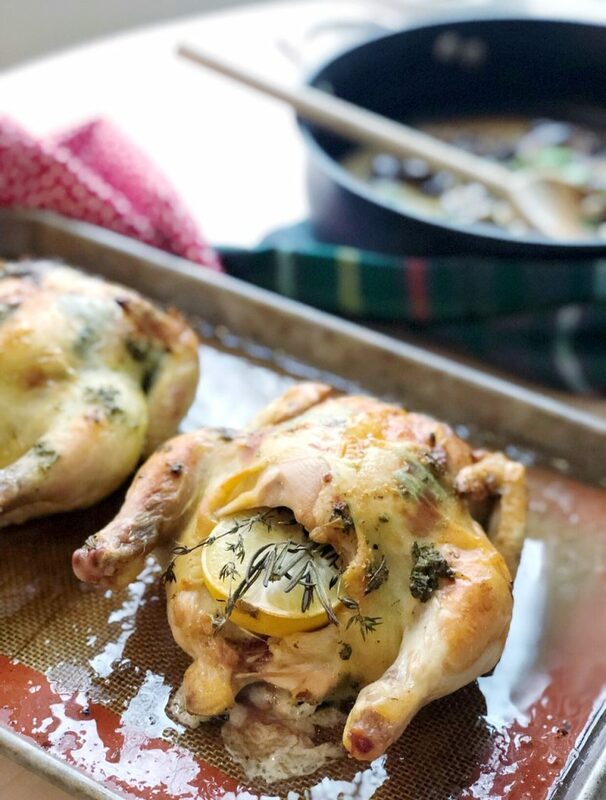 You know how I love those recipes that just fill the house with the most divine scents and this is definitely one of them. And I mean, aren’t they just the cutest little things you ever did see?! 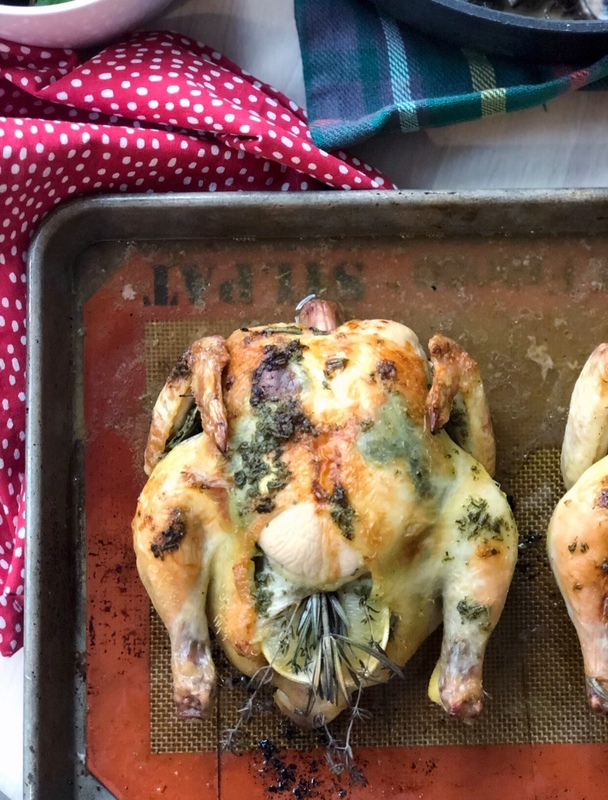 I was inspired by Glamour’s “Engagement Chicken,” remember that recipe? I made it once (and it worked! 3 years after I made it, anyway), and what I really remembered about it was that it had a lemon in the cavity. I haven’t revisited that recipe since, but I’ll give them their due credit for my stuffing these hens with lemon. You will find hens, sometimes packaged with 2, in the meat section of your grocer. They’re right by the big roaster chickens, but if you’re going to roast these up for a crowd, I’d recommend calling your store ahead of time to place an order. For this recipe, you’ll want to use a good quality butter, and don’t skimp! No skimping on the butter around here! It helps to crisp up the skin and, let’s be honest, it’s what makes everything in life taste good. 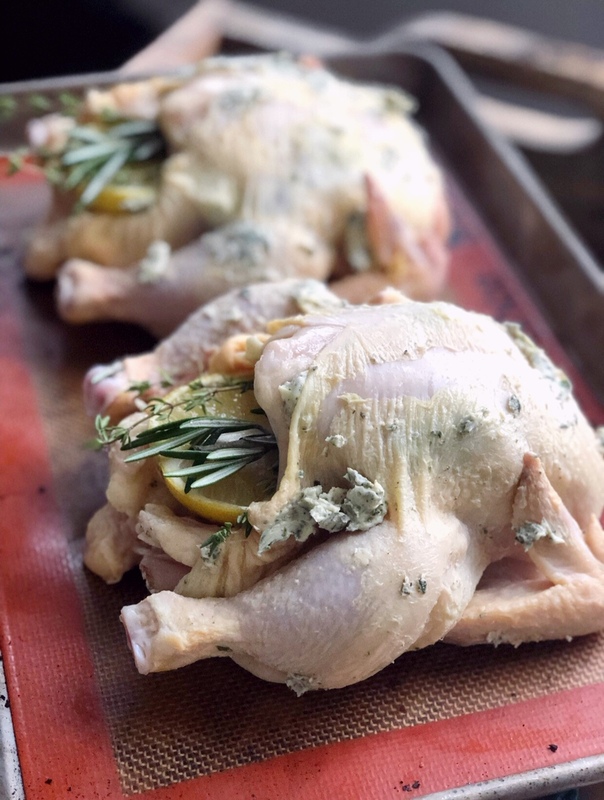 You will also need a little patience when you rub your hens down with the butter. You have to gently get the butter under the skin as well as over the skin. It’s not hard, you just have to take your time and be gentle so you don’t tear the skin. It helps if your butter is softened! Don’t get in there with a cold pat of butter. No ma’am! 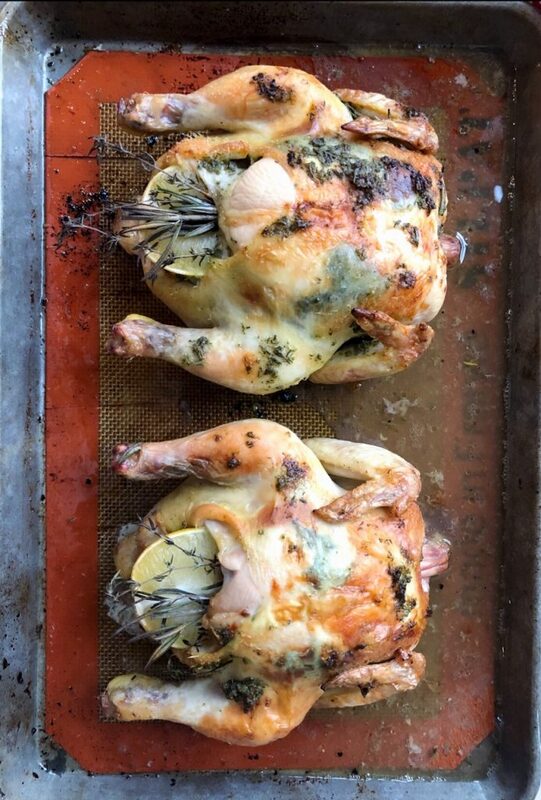 These individual hens are so cute, definitely elegant, and have so much flavor from the butter, herbs and lemon. Great for a weeknight recipe or a weekend celebration. Line a baking sheet or roasting pan with foil, set aside. Pat your hens dry, sprinkle salt and pepper to taste, set aside. In a blender or food processor, place your softened butter, fresh herbs, garlic, salt, pepper and pulse until well combined and smooth. Over the skin of the entire hen, rub the butter, about 1 tbsp. Once the outer layer has been buttered, gently loosen the skin and butter another tbsp underneath the skin. Place one of the halved lemons inside the cavity with a sprig each of rosemary and thyme. Bake for about 45 minutes or until the internal temperature reaches 165. I recommend lining your baking sheet or roasting pan for easier cleaning. Buttering the outside of the hen and then underneath the skin will help with tearing. Once the skin is loosened from the meat, it becomes harder to spread the butter more evenly.